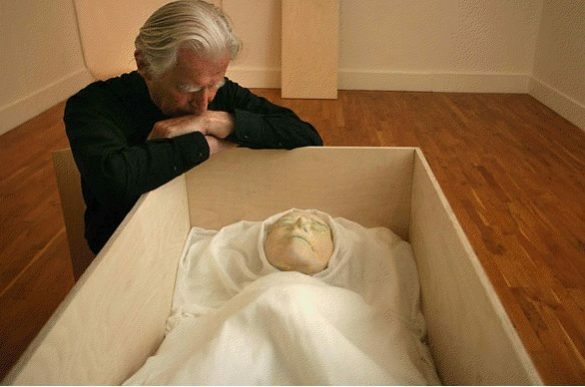 On the 20th May 2008 a most extraordinary event took place in Dublin when the New York based Irish artist Brian O’ Doherty attended a funeral on the grounds of the Irish Museum of Modern Art, to bid farewell to his alter ego ‘Patrick Ireland’. 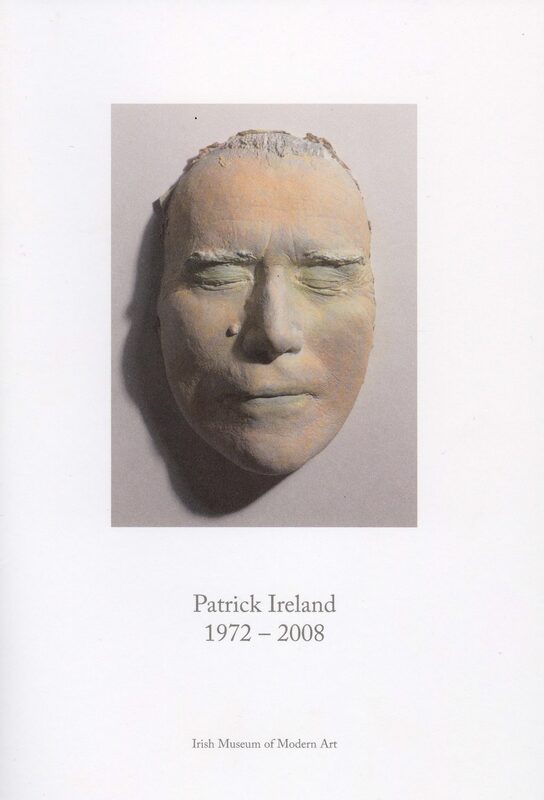 Patrick Ireland had been created by O’Doherty in 1972 as a symbolic protest after the events of ‘Bloody Sunday’ in Derry when the British Military murdered thirteen unarmed people during a peaceful march for Civil Rights. He vowed that he would stay in the character of Patrick Ireland until the British Army withdrew from Northern Ireland and Civil Rights were ensured for all. This artistic act came from deep in the heart of O’Doherty who felt that as an expatriate, the only thing he could offer was a name and that this name would resonate as a gesture of peace, but also as a gesture of dissent. When peace was finally established in Northern Ireland, O’Doherty decided it was now time for Patrick die. A day he thought would never come! O’Doherty then wondered where the event might happen. Enrique Juncosa the curator of the Irish Museum of Modern Art solved the problem. The funeral arrangements were planned. 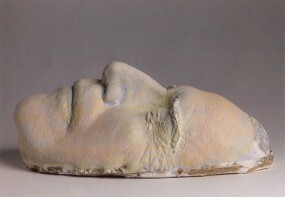 An effigy was made of Patrick Ireland and a death mask was created by O’Doherty’s friend, the American artist Charles Simonds. 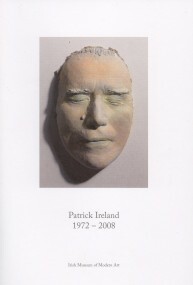 After a three day wake Patrick was then buried in the grounds of IMMA. The ceremony was attended by over five hundred people. Poets and Artists from Ireland, Europe and the United States arrived to give orations at the funeral. The little event that originated in the Project Art Centre in 1972 now became a news item on the front page of the New York Times. The director Sé Merry Doyle had made a short film on Brian O’Doherty some years previously and offered to make a film documenting the life of Patrick Ireland. All that remained of the original name change ceremony in 1972 were some black and white photographs but these very fragments would become the backstory of the film.With support from the Irish Film Board Over Sé filmed the lead up to the burial at IMMA and through archive and interviews delved into the history of Patrick Irelands life. Contributions include the curator Christine Kennedy, original signatory Robert Ballagh, Patrick’s wife Barbara Novak, and the coffin maker and pallbearers. Sé Merry Doyle sees the finished film as “not so much a documentary but more of an ‘Art Document‘. Sé wanted to explore the artistic implication of the name change and what it represents for us all as a response to a dark chapter in Irish history. The subject matter makes for an unusual and compelling film about art, identity and history. It also explore the career of Brian O’Doherty and Patrick Ireland who between them have established an immense international profile in the world of Modern Art. During the Irish Exhibition of Living Art at the Project Arts Centre in 1972, Brian O’Doherty, in a performance before 30 invited witnesses and assisted by Robert Ballagh and Brian King, undertook to “sign his artworks ‘Patrick Ireland” until such time as the British military presence was removed from Northern Ireland and all citizens were granted their Civil Rights. O’Doherty was carried onto the stage a stretcher masked and clothed in white and was then painted head to toe in the charged colours of green and orange , resulting in a glimpse of the Irish tricolour before it was extinguished in the cross-over confusion of colours. 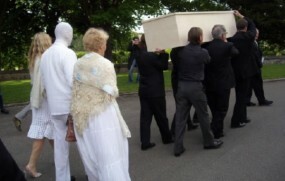 On Tuesday 20 May after the customary Irish wake, the effigy was interred in the grounds of the Museum. The secular ceremony was conducted by the distinguished art historian and museum director, Michael Rush, a former Jesuit priest. At the graveside, five poems that resonated most closely with the meaning of the event were read in English, French, Spanish, and German by friends of the artist and in Irish by Caoimhín Mac Giolla Léith. The ceremony concluded with a breathtaking vocal ‘keening’ performance by the Irish artist, Alannah O’Kelly, which echoed across the city. The tombstone marked Patrick’s passing in Ogham with the words ONE HERE NOW. Artists, museum directors, writers, and gallerists from Switzerland, France, Germany, Italy, England, Northern Ireland and the US travelled to Dublin for the occasion. Attendants also included a special contingent from the Fondazione Zetema, which owns and administers the Casa Dipinta in Todi, Italy, where 30 years of Patrick Ireland’s wall paintings and installations can be seen.